Retco Trailers has everything you need, from Flatbeds to Wrap Utilities and even Tiny House Trailers. No matter if you need to load a lawnmower, car, or your whole home, Retco has you covered with one of their innovative and high-quality trailers. Built with only the best materials, these trailers are made tough and built to last. 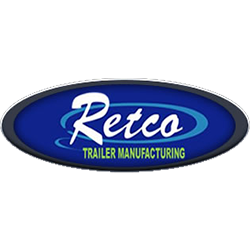 As a family owned business, Retco takes immense pride in each and every one of their trailers, so you know when you buy Retco you are getting the best quality around!